On this day in 1820, the first 86 African American immigrants sponsored by the American Colonization Society depart New York to start a settlement in present-day Liberia. An interesting idea that, well... let's just say, it didn't exactly turn out like most people hoped. The board game Monopoly first hits the shelves on this day in 1935, smack dab in the middle of the Great Depression. Countless screaming family fist-fights ensue. On this day in 1959, at Cape Canaveral, Florida, the first successful test firing of a Titan intercontinental ballistic missile is accomplished. 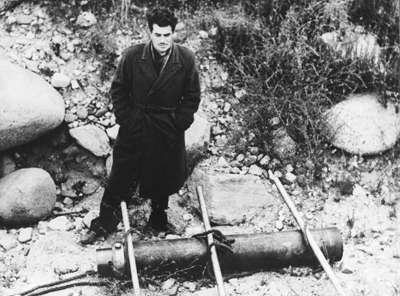 Jack Parsons, rocket scientists and acolyte of occultist Aleister Crowley, was instrumental in the creation of the multi-stage solid fuel propulsion platform that made this evil, potentially world-destroying weapon possible. On this day in 1979, the Supreme Court of Pakistan affirms the death sentence against Former Prime Minister Zulfikar Ali Bhutto, for allegedly rigging an election and killing a guy. In other words... he was FAR too liberal! On this day in 1988, basketballer Michael Jordan makes his signature slam dunk from the free throw line inspiring Air Jordan and the Jumpman logo. On this day in 1997, in an English courtroom, Diane Blood wins the right to use her dead husband's sperm. Later, some in the jury come to regret their decision, when it's discovered that Blood has used it to seal the cracks in her shower stall.